New York City is rich with museums. It has some of the world’s finest, whose vast collections and global reputations draw in lines of visitors every day. It also has an incredible array of museums whose collections are more specialized and focused as well as some interesting ones which are a bit off the tourist radar. This comprehensive guide covers a widely diverse representation of museums in Manhattan, Brooklyn and the Bronx that you should consider visiting while on vacation. This is one of the world’s largest and finest museums with a global collection of nearly 2 million works of art representing the best of human creativity from around the globe throughout thousands of years. The diversity of its collection is astounding. Master works from every part of the world, in every medium and from 5000 years ago to the 20th century are exhibited in beautifully curated galleries. To be able to see art up-close that is normally only seen in art books is an awesome experience. Although only a portion of the Met’s massive collection is on exhibit at one time, the depth, breadth and completeness of works exhibited in its endless galleries is overwhelming. To get the most from a visit to the Met and to avoid total sensory overload, it is important for visitors decide what they want to see before going in. An amazing collection of artifacts with cultural, scientific and historical importance unfolds from one exhibit hall and gallery to another. The largest museum of its kind in the world, covering several city blocks, explores creation from the beginning of time through biology, zoology, anthropology, geology and astrophysics. See full-size dinosaur replicas, human microbiome, fossils and gems. View artifacts from the depth of the ocean to the expansive dark universe. Pass by exhibits of birds, reptiles, amphibians and mammals. Learn about Earth and planetary science as well as the evolution of the human family and global cultures. It’s a stunning adventure in interactive discovery that any curious visitor will enjoy. Part of the Natural History Museum, this is an astounding, interactive trip through the Universe. Housed in an ultra-modern glass cube, the Rose Center for Earth and Space encompasses the spectacular Hayden Sphere and exhibitions that explore the vast range of sizes in the cosmos. Visitors will also learn about the 13 billion year history of the universe, the nature of galaxies, stars, and planets, and the dynamic features of planet Earth. The wow factor here is for all ages! The primary focus of the Guggenheim’s impressive collection, housed in the distinctive spiral-shaped Frank Lloyd Wright designed building, is on the works of artists during the 19th and 20th centuries. Gallery after gallery, the works of all the greats are exhibited there from Braque, Chagall, Calder, Robert Delaunay and Giacometti to Kandinsky, Klee, Leger, Miro, Picasso and Van Gogh and more. A favorite of lovers of modern and contemporary art, MoMa’s evolving collection of paintings, drawings, sculptures, prints, photographs, design object, architectural models and design objects – over 200,000 of them from over 10,000 artists – continues to delight visitors as well as regulars. Among the collection, considered to be one of the best of modern Western masterpieces in the world, are many important and familiar works from Cezanne, Chagall, Dali, Jasper Johns, Kahlo, Lichtenstein, Gaugin, Mondrian, Picasso, Matisse, Rousseau, Van Gogh, Pollock, Warhol and Wyeth. This New York City museum features fabulous views of the Hudson River and beautiful gardens planted as they would have been in medieval times. The building architecturally incorporates elements from medieval cloisters and art from medieval Europe, with emphasis on the 12th and 15th centuries. The museum, an extension of the Met located in Fort Tryon Park in Upper Manhattan, is breathtaking. Inside its contemporary new building of polished gray stone and glass on Gansevoort in the Meatpacking District are light-filled galleries housing some of some of the most significant and exciting works created by artists in the United States during the 20th and 21st centuries. The special focus of this museum is on the work of living artists. As the preeminent institution devoted to the art of the United States, the museum’s signature exhibition titled the Biennial explores the most recent developments in American art. 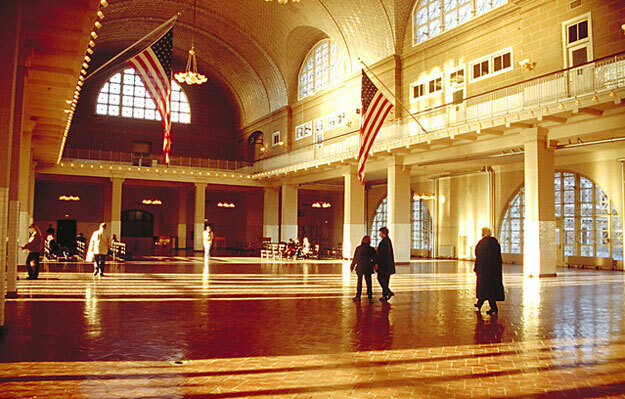 Between 1892 and 1924, over 12 million people entered the United States through Ellis Island. Exhibits give voice to the courage and determination of these immigrants. While parts of the main building and museum have been closed due to damage from Hurricane Sandy, walking through the areas that are open to the public and viewing the large photographs of countless immigrant families being taken through the process is extraordinarily moving. A visit to The Frick offers two experiences at once. It’s a journey into the Gilded Age lifestyle of wealthy industrialist and art collector Henry Clay Frick, as well as a chance to view his astounding art collection and recent acquisitions exhibited in rooms of his magnificent mansion. Different from a large museum experience, it is the opportunity to view the works of primarily 17th and 18th century masters, Renaissance and Baroque bronzes, Chinese porcelain, and 18th century furniture in the intimate environment of ornate mansion rooms and halls. The focus of the premier contemporary art museum in NYC, located in the Lower East side, is on the “now” in art. This is accomplished through the presentation, study and interpretation of new ideas. Exhibitions and programs of significant international artists, emerging artists as well as older artists ranges from painting and sculpture to film, video, photography and performances. Its collection of unusual, diverse abstract art in many forms has given it a global reputation and following. A museum centered on the aircraft carrier Intrepid, a National Historic Landmark moored at Pier 86 at 46th Street on the west side of Manhattan, gives visitors the opportunity to board this massive ship, see original artifacts, view historic video and explore interactive exhibits. Inside the Space Shuttle Pavilion, the equally jaw-dropping space shuttle Enterprise is on exhibit, surrounded by exhibit zones featuring artifacts, photographs and films about the space shuttle era. Boarding Submarine Growler, the only American guided missile cruiser open to the public, is a great experience as is seeing the record-breaking plane, the Concorde. 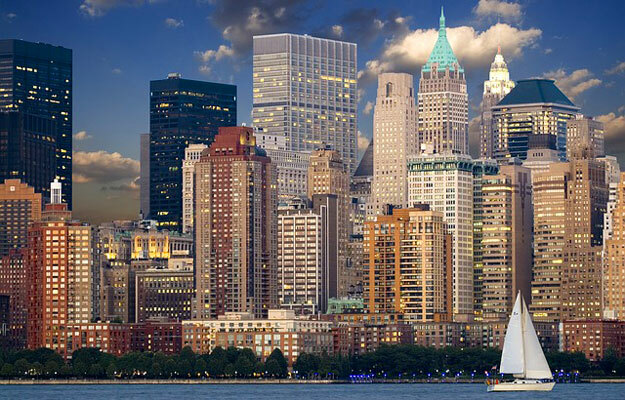 The importance of the Port of New York can be seen and explored at this museum. Wander through exhibition galleries, working 19th century print shops, a maritime library, a maritime craft center, and the largest privately-owned fleet of historic ships in the country. This location is where goods, labor and cultures are exchanged. The history of the profound role of immigration in America is told through the personal experiences of generations of newcomers who lived in the tenement apartment building at 97 Orchard Street in Manhattan’s Lower East Side. It was once home to nearly 7,000 working class immigrants. Guided tours of apartments that recreate immigrant life in the 19th and 20th centuries and guided walks of the surrounding neighborhood connect the visitor to the experience. 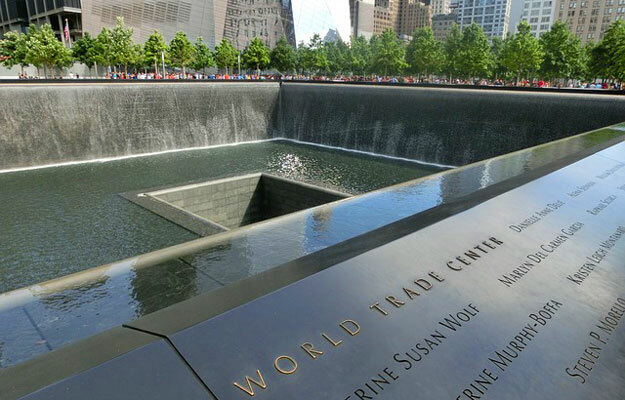 Profoundly moving, the symbolism of the 9/11 Memorial is overwhelming in emotional significance. Inside the adjacent museum, artifacts associated with the tragic events of that day present and preserve stories of loss and recovery, documenting the impact of the events and examining and exploring its continuing significance. Located adjacent to Battery Park, this is a living memorial to the Holocaust. The core exhibition focuses on Jewish life before, during and after the Holocaust and is told through personal stories and possessions. Special exhibitions explore aspects of historical events and a deep, evolving heritage. 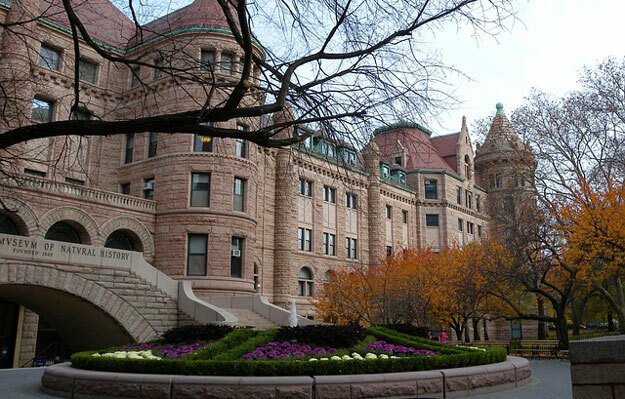 This museum is located along Museum Mile, is housed inside industrialist Andrew Carnegie’s mansion and is the only museum in the nation devoted exclusively to historic and contemporary design. It’s a fabulous museum which combines form and function of decorative and design arts created by people around the world from centuries past to the present. Everything in the collection, from everyday products to drawings, prints, architecture and graphic design, is about the creativity and uniqueness of functional everyday items. See works of art from ancient decorative tile concepts to Finding Nemo and Monsters Inc. from Pixar. Located on Columbus Circle in the west side of Central Park, MAD focuses on the ways in which artists and designers transform our world through various processes. Visitors can see the creative process of art and design by which materials are transformed into everyday items. Through exhibits, creativity and craftsmanship the limitless potential of materials and techniques is demonstrated. The exhibitions at this museum located in Lincoln Square on Columbus Avenue, focus on the works of self-taught artists and tell stories of everyday life in America. American folk art has evolved since the turn of the 20th century. This time period was defined by those in the art world searching for an authentic American art that presented a nuanced picture of national identity, faith, progress, ingenuity, community and individuality. For the last 20 years, the term “self-taught” came about to address the social mainstream artists whose inspiration emerges from unsuspected paths and unconventional places. The museum explores how these folk artists shape American visual culture and establish lively artistic traditions. Located on the north end of Museum Mile, the Jewish Museum is the oldest existing Jewish museum in the world and a hub for art and Jewish culture. The unique permanent collection of nearly 30,000 works of fine art, Judaica, antiquities, folk art, ceremonial objects and broadcast media reflect the global Jewish experience over more than 4,000 years. In addition to shows by major artists, large temporary interdisciplinary exhibitions using a combination of art and artifacts are interpreted through the lens of social history. Internationally known for its catalytic role in promoting artists’ from African descent, the museum’s permanent collection includes nearly 2,000 paintings, sculptures, watercolors, drawings, pastels, prints, photographs, mixed-media works and installations dating from the 19th century to present. While the museum, located in Harlem, does not have a permanent exhibition of work from its collection, it curates compelling selections in on-going temporary exhibitions. As NYC’s leading Latino cultural institution focusing primarily on Puerto Rican, Caribbean and Latin American cultures, El Museo is a dynamic institution. Its permanent collection features over 6,500 objects spanning more than 800 years of Latin American, Caribbean, and Latino art. It includes pre-Columbian Taino artifacts, traditional arts, 20th century drawings, paintings, sculpture and installations, as well as prints, photography and film. El Museo reflects the Barrio, also known as Spanish Harlem, that surrounds it, a place filled with color, cultural richness and diversity. Dedicated to preserving and presenting the history, heritage, culture and diverse experiences of people of Chinese descent in the United States, MOCA is a national home for the narratives of diverse Chinese American communities. A nationally significant collection of materials documenting Chinese life in America is presented through interactive exhibitions from its collection of 65,000 artifacts, photos, memorabilia, documents, oral histories and art work as well as programs which bring 160 years of Chinese American history to life. This free museum and reference library is dedicated to the study of arts and cultures in Spain, Portugal and Latin America. It’s housed in a beautiful Beaux Arts building named Audubon Terrace built in the early 20th century. Its collection of more than 800 paintings, 6,000 watercolors and drawings, 1,000 works of sculpture, ceramics, glass, furniture, textiles , jewelry, prints, photographs and textiles spanning centuries is unmatched outside the Iberian Peninsula. Located on Park Avenue and 70th Street, this museum organizes exhibitions of both traditional and contemporary Asian and Asian American art. It is best known for its Mr. and Mrs. John D. Rockefeller collection of masterpiece-quality traditional Asian works, which includes objects from cultures across Asia from the 11th century BC to the 19th century AD. Visitors will also find contemporary Asian art on display. Through over 100 multidisciplinary presentations and events held in a classically elegant building in Midtown Manhattan, the Japan Society has a full calendar of presentations dedicated to Japanese art and culture in its 262 seat theater and in its art gallery. This art museum includes exhibitions that present art of the Himalayas, India and neighboring regions. Special exhibitions in the museum, located in Chelsea, celebrate art forms ranging from ancient to contemporary, including photography and multimedia. Permanent galleries are focused on art from the Himalayan region. Located in SoHo, this is the only institution in the United States devoted to exhibiting and interpreting works by Europe’s academically trained artists of the 19th and early 20th centuries. This was a time in the evolution of art when artists were rejecting the past, forging a path that led to Modernism. By exhibiting the works of artists who continued on in the academic tradition of rigorous training and precise execution that produced centuries of great art, the Dahesh adds richness to the complexity of the 19th century art world. Housed in one of the finest examples of domestic architecture from the early 1800s, the 1832 late-Federal and Greek Revival Merchant’s House is the only historic house museum in the Greenwich Village, Soho and NoHo neighborhoods. Inside, the collection of over 3,000 items includes furniture, decorative arts, clothing, photographs, books, household items and personal items from the Tredwells, the wealthy merchant family who lived in the house from 1835 to 1933. Suitably located in a historic bank building on Wall Street, this museum is all about money and banking. Interesting permanent exhibits on the financial markets, money, banking, entrepreneurship and Alexander Hamilton, America’s first Secretary of Treasury, are interesting and educational. Dedicated to the practice and understanding of photography and the reproduced image in all its forms, ICP is a place where photographers, artists, students and scholars create and interpret the world of the image. Changing exhibitions focus on the role images play in our culture.